I’m a certified PSYCH-K facilitator. I’ve taken all their courses, practiced on myself and helped dozens of others. 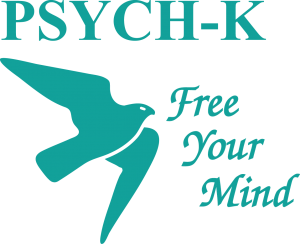 I have my own way of performing PSYCH-K which focuses mainly on clearing stress and trauma, the source of most of our issues, including limiting belief systems. All PSYCH-K work is performed in the subconscious mind which controls 95% of who we are and what we create in our lives. We use muscle testing as the main way to communicate with the subconscious mind but a keen intuition is also very useful. I’ve had complete success helping people eliminate stress and clear their trauma. I put them in a “whole brain state”. This state clears and neutralizes any thoughts about their stress or trauma as they arise. This process is so effective that it leaves people in awe. Some have compared it to twenty years of therapy delivered in a single hour. I’d add that therapy is mostly mental and shallow, while PSYCH-K works deeply to address the problems in the subconscious mind. I’ve worked with people with AIDS, who have been raped, are struggling with cancer, and have many other traumas. I’ve never seen it not work. It’s so simple, yet so powerful. The setting of intentions is crucial for spiritual well being. Using a PSYCH-K protocol, I set intentions for everything: dates, meetings, hiring, firing, trips, everything! Not setting intentions is like allowing random circumstances to take over your life. We are creators, so let’s create! Changing subconscious beliefs with PSYCH-K is easy. I can change dozens and even hundreds of beliefs in a matter of minutes with PSYCH-K, but I don’t believe this is the way to go. Beliefs are a symptom, they’re not the problem. Just as fixing a symptom of a disease with medication doesn’t usually cure the problem, so facilitating PSYCH-K to change beliefs (from a “weak” muscle testing response to a “strong” muscle testing response, for example), is rarely effective. We need to get to the bottom of the issue. We need to understand how these belief systems reached our subconscious. They’re usually the result of trauma and stress. Eliminating those causes with a Stress Release changes these beliefs automatically every time. Identify the issue on which to focus. Muscle test some belief systems related to the issue to establish a baseline. Eliminate the past trauma, and current and future stress related to this issue. This is the most time-consuming part but it’s well worth the effort. At the end, people feel a huge relief. Create new intentions and integrate them into the subconscious mind. Muscle test the beliefs again. I’ve found that eliminating the stress and setting up new intentions changes the beliefs every time.